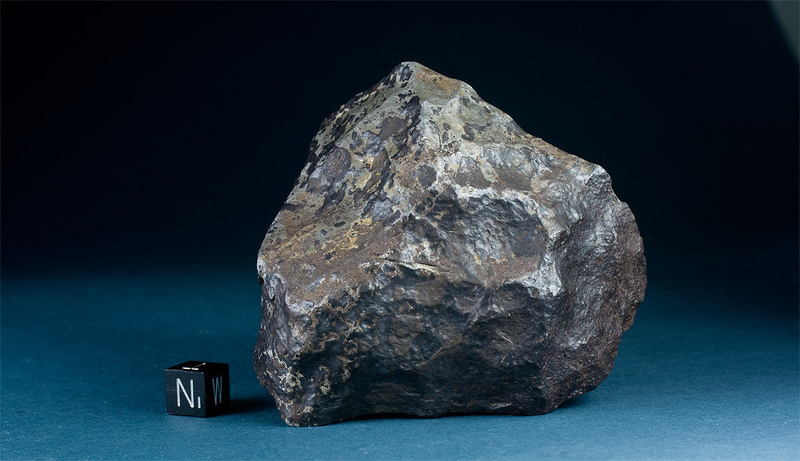 New iron meteorite find from the Mauritania-Algeria border, of which I acquired the single 4.9 kg mass from the finder. 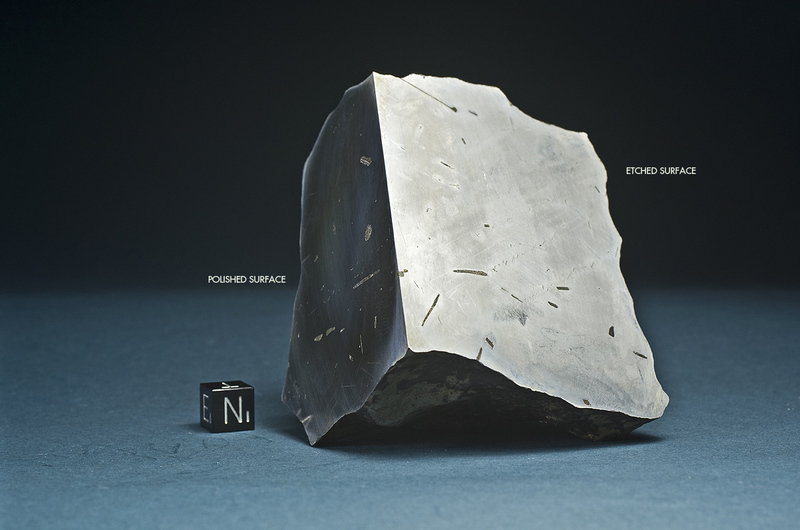 The compact mass shows an attractive wind polished blue to olive drab desert patina, as it is characteristic of several other iron meteorites from the Adrar region in Algeria. 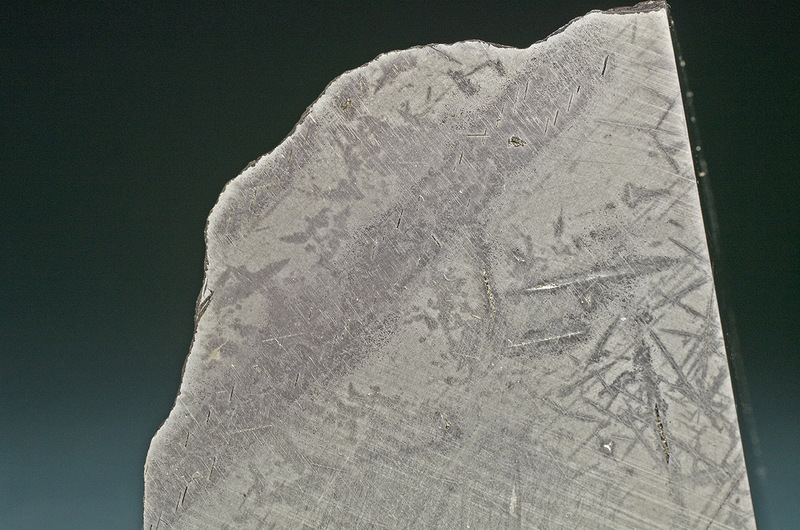 The polished and etched surface reveals geometrically arrayed rhabdite plates and several generations of Neumann lines, a characteristic of most hexaedrites. The iron has been classified at the University of Alberta, Canada. Geochemistry: (C. Herd and G. Chen, UAb) Ni=5.7, Co=4.6 (both mg/g); Cu=142, Ga=74.1, As=5.4, W=2.8, Ir=7.7, Pt=27.2, Pd=1.6, Ru=18.8, Re=0.53, Au=0.5 (all μg/g). Obtained by ICP-MS using North Chile as a calibration standard.